The Marine Spatial Ecology Lab is located at the University of Queensland, Australia. Under Professor Pete Mumby MSEL have been conducting research into coral reef ecosystems, fisheries, modelling, and socioeconomics. With our team of PhD students, postdocs, and collaborators in over 15 countries MSEL is involved with research projects on the Great Barrier Reef, in the Philippines, Indonesia, Palau, Belize, Bahamas and other coral reefs ecosystems throughout the world. Along with Prof. Pete Mumby, MSEL has a group of PhDs and Post doctoral researchers, an expanding alumni and diverse collaborators around the world. To date, twenty students have graduated from MSEL. Currently we have ten PhD undertaking resesarch in Micronesia, the Coral Triangle, the Maldives and Great Barrier Reef. MSEL postdocs comprise skilled modellers and coral ecologists working on reef health and resilience and marine reserve design and management. Peter started MSEL in 2000 whilst at the University of Exeter, England as a NERC Post-doctoral Fellow and subsequently a Royal Society Fellow. He moved the lab to the University of Queensland, Australia in 2010 after being awarded an Australia Research Council Laureate Fellowship. 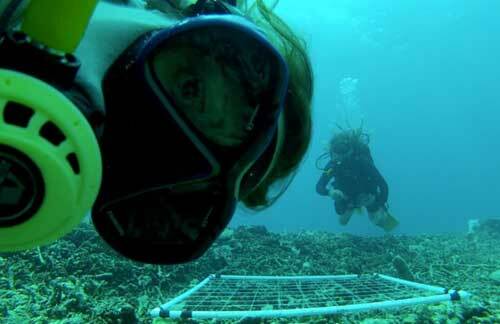 Our research focuses on delivering science to improve the management of coral reefs. We carry out empirical ecological studies at scales ranging from millimetres (algal patch dynamics) to thousands of kilometres (gene flow in corals) in an effort to plug gaps in our understanding of reef processes. Empirical data are then used to develop ecosystem models from which we can investigate the effectiveness of conservation measures in mitigating disturbance on reefs including climate change. Lastly, we combine the ecological models with remotely-sensed data to allow spatial conservation planning such as marine reserve design. As a result of research projects MSEL has produced many resources to assist marine spatial planners, coral reef managers and various national, regional governements in decision-making regarding management of coastal and coral reef ecosystems. The EU-funded project Future of Reefs in a Changing Environment (FORCE) produced a handbook that aims to provide reef managers with tools, information and recommendations on management of coral reef ecosystems. 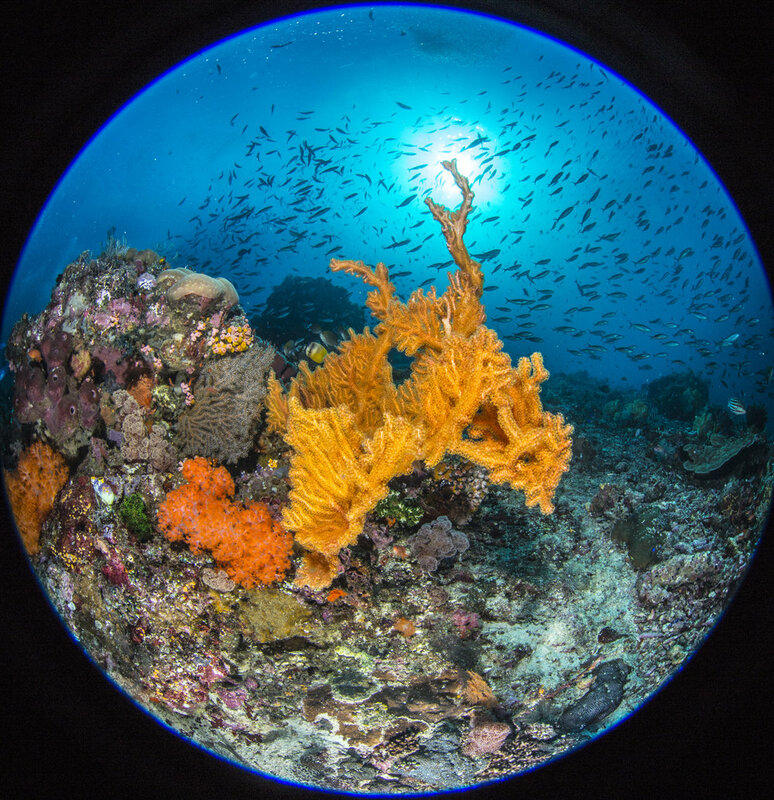 The handbook sections range from ecological history and biogeography, resilience as well as climate change issues to fisheries, governance and the monitoring of coral reef ecosystems. MSEL have created a model that calculates the proportion of individual fish and types of fish species that a reserve of a given size can be expected to protect. With the tool you can select a group pf species from a list or input your own data on either fish movements or maximum lengths per species and then select a range of alternative reserve sizes to investigate further. The bleaching risk assessment tool (BRAT) was funded through a grant from the Ministry of Environment and Energy, Republic of Maldives. The goal of this component is to produce remote sensing monitoring and decision tools for climate change risk assessment. Specifically, we aim to address coral reef vulnerability to thermal stress across the Maldives.